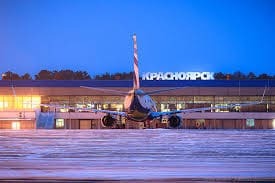 The people of Krasnoyarsk, in Siberia, have voted to name their airport Dmitri Hvorostovsky. The great baritone grew up in the city and returned there often. The airport is presently known as Yemelyanovo. Music must be the highest-flying art form. A fitting tribute to the great, great man. Very happy to read this.